Obviously, if you want to jump on the paleo diet, you’re going to have to learn how to cook! Luckily, you don’t have to just eat lettuce and birdseed. We’ve hand selected some of our all-time favorite paleo diet cookbooks below. 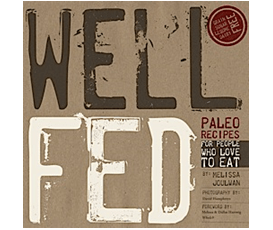 Check out the rotating carousel of paleo diet cookbooks below, pick up a couple of your favorites and get cooking! The Paleo Recipe Book is absolutely massive. 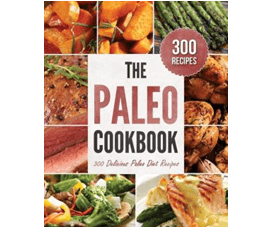 Packed with over 350 recipes, meal plans, grocery lists, and more, this one of the paleo diet cookbooks you need to start eating paleo and to discover your absolute favorite paleo recipes. 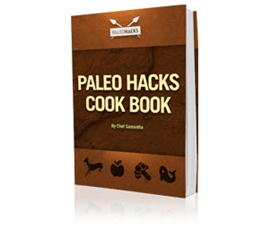 The PaleoHacks Cookbook addresses the most common reason for quitting the paleo diet: boredom. With over 200 recipes create by a respected chef and a community of busy paleo eaters, this beautiful, full-color guide helps you eat well without compromising on taste or convenience. 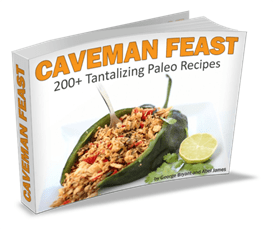 Caveman Feast contains over 200 of the best paleo recipes created by George Bryant and Abel James. With color photos and clear, step-by-step instructions, these recipes make it easy to satisfy your taste buds. 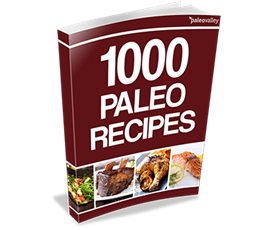 Made up of four e-books, this is the largest collection of paleo recipes in the world. Each recipe was designed with the beginner in mind and with the aim of pleasing every taste bud. 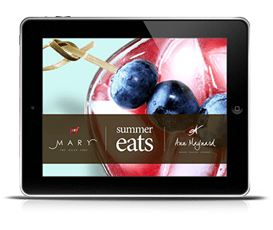 Created by best friends, Summer Eats was created with friendship, fun, and summer in mind. It has a Mediterranean flair and includes 15 clarified cocktail recipes (no, alcohol isn’t paleo, but this is as clean as it comes) and 16 food recipes, perfect for pool parties and BBQs alike. 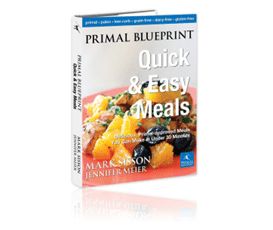 From Primal Blueprint author Mark Sisson and acclaimed chef Jennifer Meier comes the recipe accompaniment to the Primal Blueprint. The 100 recipes in this book focus on convenience, health, and effortless weight loss. 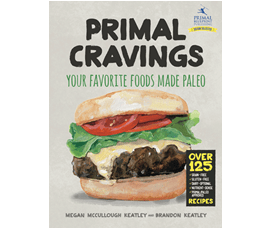 Primal Cravings aims to bring together the best of both worlds: food that satisfies our desires and ingredients which satisfy our bodies’ needs. 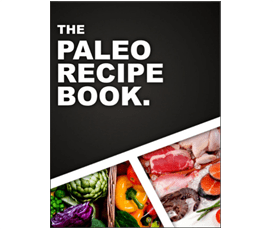 With 125 paleo/primal recipes plus the authors’ thoughts on healthy eating, this is one of the paleo diet cookbooks that aims to make healthy eating taste good. 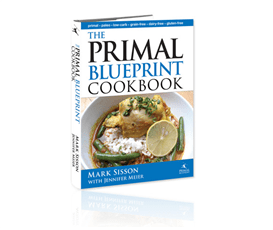 Again, from The Primal Blueprint team comes a recipe book full of healthy but tasty recipes. This time, there’s a focus on time and effort. Indeed, the authors aim to get you in and out of the kitchen in 30 minutes or less with these recipes. 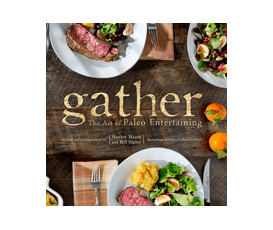 Gather, The Art of Paleo Entertaining, with its glossy photos and elegant style, is the first coffee table worthy book in the paleo world. Whether you’re hosting an elegant feast or a casual brunch, the 117 menu spreads and shopping lists, 100 dishes, and tips included in this book will help you be a great host. 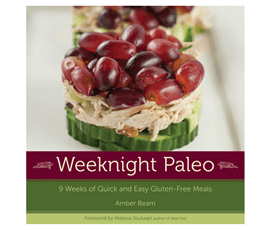 More than just a recipe book, Practical Paleo presents over 120 easy paleo recipes alongside notes about common food allergens and some meal plans. Designed for people who love to eat, Well Fed is full of everyday recipes and easy tips to save you time and hassle. Each recipe includes information about serving suggestions and variations to help you tailor your meals to suit you and your family. The focus of this cookbook is on eating food that makes you feel good. 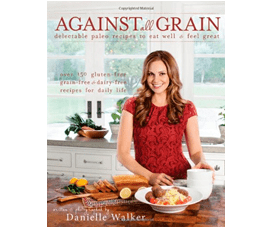 Danielle’s recipes recreate everyone’s old non-paleo favorites using no grains, gluten, or dairy. This cookbook also includes a section of children’s dishes. 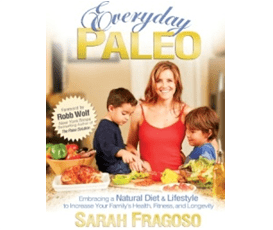 Everyday Paleo focuses on enabling paleo eaters to acquire a paleo way of life. Family-focused, the recipes in this book are feasible for even the busiest of parents. The book also includes tips on eating out and working out. Weeknight Paleo offers a foolproof way to get a paleo dinner on the table in 30 minutes or less. Featuring traditional American bistro dinners, this book comes with enough menus, recipes, and shopping lists for nine weeks. Paleo Comfort Foods is all about the comfort dishes your grandma used to make. Including over 100 recipes, full color photos, and entertaining stories, the recipes in this book are designed to help individuals and families alike eat healthily in an enjoyable way. 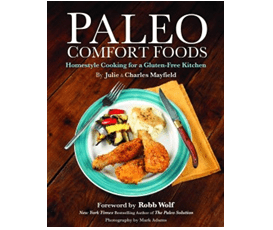 From the same authors as Paleo Comfort Foods, Quick and Easy Paleo Comfort Foods gives you another 100 paleo recipes to enjoy. This time it’s all about ease, simplicity, and speed. 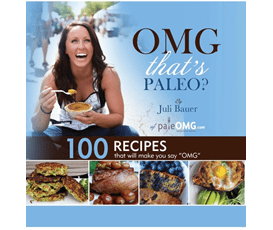 From the well-loved Juli Bauer of PaleOMG come 100 recipes, including 30 that have never been seen before. Organized by food type and meal, each recipe comes with a color photo. This book also includes general tips, funny stories, and recommended resources. 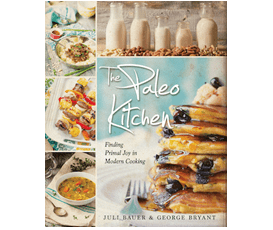 In this book, Juli Bauer and George Bryant team up to create over 100 brand new paleo recipes. Encorporating daring flavor combinations, these recipes come with full-color photos, tips, tricks, and anecdotes. 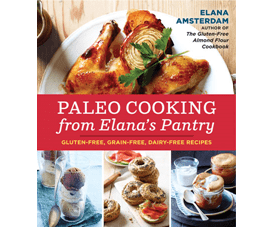 Elana Amsterdam’s recipes are enjoyed by her many blog readers because of the great taste, their streamlined techniques, and short ingredients lists. This cookbook includes almost 100 recipes, 61 of which are nut free, 60 of which are egg free, and 73 of which are vegetarian. 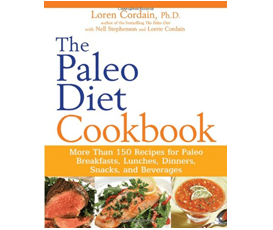 In this book, Dr Loren Cordain, a leading expert on the paleo way of eating, presents over 150 recipes, two weeks’ worth of meal plans, shopping lists, and pantry tips. 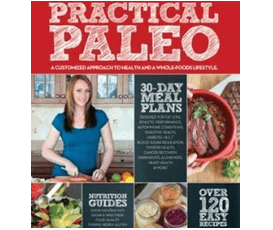 The Paleo Cookbook aims to simplify the transition into a paleo way of life. 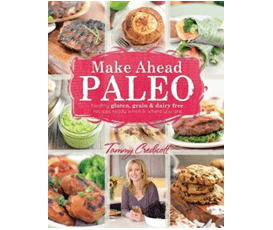 Offering over 300 recipes for every meal and occasion, this book adapts traditional comfort foods such as lasagne, as well as international dishes such as fajitas, for paleo mouths. It also includes vegetarian options. This cookbook is for busy individuals and families who don’t want to compromise on taste or good health. With a choice of over 100 recipes, some of which are suitable for freezing or cooking in a hotel room, this is one of the paleo diet cookbooks that ensures you’ll never go hungry when you’re in a rush. Now that’s just a few of the amazing paleo diet cookbooks available. There’s literally an unlimited amount of paleo diet cookbooks and recipes out there but don’t let the massive selection hold you back from getting started. Whatever you do, just get started! 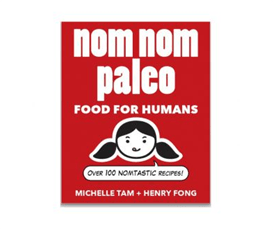 Can I get the Paleo Cook Book & bonus books in hard cover? 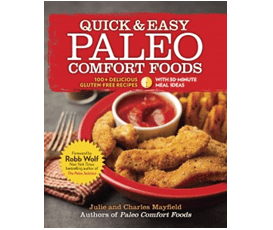 Hey Joyce, We offer the paleo recipe book completely digital so you can download it immediately. No waiting & no shipping fees!